Click on links below to view fun videos. Since 1889 the cabaret show at the Moulin Rouge is recognized world-wide because of its famous French can-can, immortalized by artist Toulouse-Lautrec. The above cost includes transfers by taxi, metro and/or motor coach, entrance to the “Féerie” show at 11:00pm, and one glass of champagne. Nothing sums up the glamour of Monte Carlo more than the harbor, filled with expensive yachts and celebrities. Sun seekers bask in the sun at Plages du Larvotto with plenty in the way of fun water sports. See the legendary Monte Carlo casino, designed by French architect Jules Touzet. Cannes displays luxury yachts along its waterfront and has streets lined with equally luxurious like Ferraris and Lamborghinis. During some free time, the town known for the International Film Festival (May) has you visiting the historical Le Suquet neighborhood. 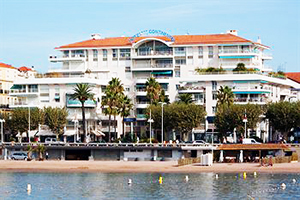 Shop for designer clothes at fashionable Rue d'Antibes or people watch at the seaside promenade "La Croisette." The above cost includes round-trip motor coach to both Cannes and Monte Carlo including a lunch en route. At the Old Minardi Farmhouse the current vintner takes us on a walk through the vineyard and cellar, explaining how Frascati wine is traditionally made, and shows us the equipment and tools used in the winemaking process. A wine tasting of up to three types of wines paired with Minardi olive oil, pizza, specialty breads,and seasonal fruit and vegetable is also part of the tour. The cost includes round-trip transfer by private motor coach, 4 hour Frascati tour, wine and olive oil tasting with 3 wines and snacks. Reward yourself for all your hard work with the ultimate escape. The Classic Europe tour offers 17 days of exploration, adventure, and insight into many of Europe’s most popular and breathtaking countries. The aptly named Classic Europe tour provides something for everyone, whether you’re inclined to engage with locals on a London pub crawl, seek adventure parasailing in the Greek isles, prefer photographing the majesty of the Notre Dame Cathedral in Paris or venturing through the Roman Forum and the 2000 year old Parthenon in Athens. The beauty of this journey is the balance of fun excursions, time at leisure and fascinating looks into history and ancient territories. This leaves our tour goers with a well-rounded experience and an opened mind, not to mention memories and new friends to last a lifetime. Make the Classic Europe tour your summer getaway, unleash your inner adventurer. Embark on your overnight flight to London. Enjoy a free afternoon to relax and unwind. In the evening we’ll have our welcome orientation followed by a fun London pub crawl. Big Ben, Buckingham Palace, and Piccadilly Circus: These familiar names become familiar places on our morning tour of London. During an afternoon at leisure, browse the many food, craft and clothing stalls at popular Camden Market, walk in the footsteps of Harry Potter at Leadenhall Market aka Diagon Alley or take a ride on the London Eye for a birds-eye view of the city and the opportunity to take great photographs. After dusk, consider taking in some Shakespeare at the Globe Theater by the Thames River or attending a West End show. Travel through the “Chunnel” below the English Channel, to Paris. Our local art historian shows us the Arc de Triomphe, the Eiffel Tower, Notre Dame Cathedral and Place de la Concorde, where the guillotine once stood. Tonight, dine on French specialties at our bistro dinner. Afterward, we take a romantic cruise down the river Seine. France has been a world center of the perfume industry since Louis XIV's court at Versailles was known as "le cour parfumée." Join us this morning for a visit to the Fragonard Perfume Museum, located in a 19th-century mansion from the era of Napoleon III, and learn about the art of perfume manufacturing from ancient times. We then travel to the Palace of Versailles, well known as France’s famed Sun King, Louis XIV’s, residence. Our museum pass gives us access to the Hall of Mirrors, the King’s Grand Chambers and more. Marvel at the sheer size of the palace, one of the most beautiful castles in the world with an astonishing 700 rooms. The afternoon is free to explore the ‘City of Lights’ and our tour director is happy to offer free-time suggestions. Consider an optional can-can cabaret show this evening. Enjoy a free days in Paris. Your included 2-day museum pass allows access to over 70 museums and monuments in and around Paris including the world famous Louvre, housing the Mona Lisa, Musée d’Orsay and Musée National Picasso. This morning, the TGV high-speed train takes us from Paris to Nice, Queen Resort of the Côte d’Azur. Enjoy your free afternoon on picturesque beaches along the rugged Mediterranean coastline, stroll promenades lined with chic boutiques, or unwind at a sidewalk café. The thriving local art scene and buzzing nightlife is yours to discover after tonight’s brasserie dinner. Enjoy a free day on the dazzling French Riviera. Relax on the beach, paddle in the azure sea, or sip on a smooth cocktail beneath swaying palms. Consider exploring Nice to visit the magnificent Palais Lascaris, the Cathédrale de Sainte Réparate and harbors filled with opulent yachts. Or, you may opt to join our excursion to Monaco, where Prince Rainier married Hollywood actress Grace Kelly, and glitzy Cannes, known for its famous International Film Festival. Our journey takes us along the scenic Côte d’Azur’s sun-splashed beaches. We cross the border into Italy at Ventimiglia and continue along the coast to Genoa, where we switch to the high speed ‘Le Frecce’ train whisking us to Rome this afternoon. 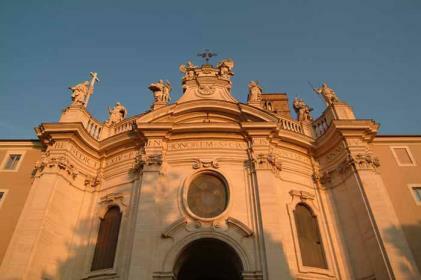 Check in to our hotel and enjoy the remainder of the afternoon at leisure exploring Rome. Tonight, join us for our pasta party. Following dinner, perhaps walk to Piazza Navona, one of the city’s most beautiful baroque squares and try the local gelati. This morning, we explore Capitoline Hill with the most spectacular view of Caesar’s Roman Forum, center of political and social activity, with ancient ruins dating from the 8th century BC. Also see Nero’s Circus Maximus where chariot races were held. A trip across the Tiber River takes us to Vatican City - the world’s smallest state. Visit St. Peter’s Basilica housing Michelangelo’s magnificent “Pieta.” During afternoon free time you may want to use your Roma Pass to visit the Colosseum, where gladiators fought to the death. The entire day is free for exploring the Eternal City. Shop on Via Condotti, or visit more of the historical and artistic sights in the city. Have fun tonight at our tasty ‘Viva Italia’ pizza party in Trastevere, the perfect spot to get a glimpse of the old world while still enjoying the lifestyle of today’s Romans. For some of us the celebratory tour of Europe ends in Rome this morning. Bid farewell to friends and “arrivederci” to Italy before jetting back home with memories to last a lifetime. For the rest of us: sunny olive groves line the way south to Pompeii. Under the shadow of Vesuvius, the volcano that buried this ancient city in 79 A.D., explore the excavated wonders including homes, markets and temples that remain intact, and streets that still bear the marks of chariot wheels from 2,000 years ago. Afterwards, we cross the Italian “boot” and board our overnight ship to Greece. Cruising through aquamarine waters, our ship docks at Patras. Motor along the Corinthian Sea across the Peloponnese to Galatas and the island of Poros. Relax and unwind with three days of living like a Greek god or goddess. Enjoy a welcome drink at the pool bar before exploring this idyllic island. Time to swim, bask in the golden sun, or take part in optional activities such as waterskiing, wakeboarding, parasailing, banana-boating or tubing. Dancing like Zorba at a local tavern is always a must-do evening activity. Bicycles will be provided for one of your free days. Poros old town center has great shopping or the more adventurous can venture to the 6th-century BC ruins of Poseidon’s Temple on the island’s highest peak. On our last night, we invite everyone to our fun Toga Party. In the morning we board our ferry to Athens. See the 2,400-year-old Parthenon, the Temple of Olympian Zeus and Constitution Square. A free afternoon may find us wandering the paths of Plato, Socrates and Sophocles or trying our bargaining skills at the markets of Monastiraki. This evening follow the sounds of traditional bouzouki music and join our farewell taverna dinner in the Plaka District – Athens’ oldest neighborhood at the foot of the Acropolis. Reluctantly we say farewell to Europe and new-found friends. Jet back home with thoughts of planning the next European Adventure! 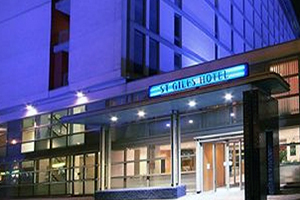 St. Giles Hotel Central London is centrally located in Bloomsbury near the junction of Tottenham Court Road and Oxford Street, Rooms are well furnished with modern amenities such as TV, hairdryer, voicemail, telephone, safe and radio. WiFi is available at additional cost. 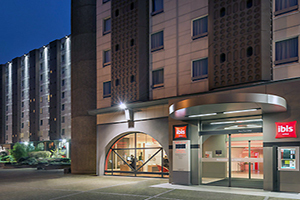 The Ibis Paris Cambronne Tour Eiffel is located in the heart of Paris just a few minutes from the Eiffel Tower, the Bateaux Mouches sightseeing boats and the Champs-Elysées. The rooms have free WiFi and the hotel features a restaurant, bar and 24hr snack service. Set in a stately early 20th-century building, this upscale seaside hotel is a 3 minute walk to Casino Barrière de Saint-Raphaël and 4 minute walk to train service at Gare de Saint-Raphaël Valescure. All of the air-conditioned rooms come with flat-screen TVs, free Wi-Fi, coffee/tea maker and minibars. The Domus Sessoriana is a 3 star hotel in Rome derived from the ancient monastery adjacent to the Basilica of Santa Croce in Gerusalemme . Unique in its kind, this hotel combines the charm of history that runs through it with the functionality of a hotel. 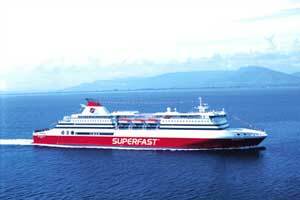 Superfast Ferries, the youngest and fastest ferry fleet, welcomes you on board for an unforgettable traveling experience. While most of our groups travel on Superfast Ferries from Bari to Patras on their way from Italy to Greece, it is possible that due to scheduling issues or availability, vessels such as Maritime Way will be used from Bari or Brindisi. 4-share accommodations on all vessels. 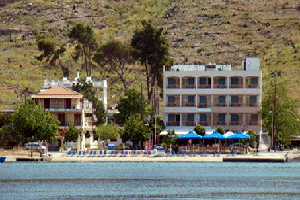 Hotel Pavlou is located right in the heart of Neorion Bay and right in front of the beach and only a short distance away from the hustling and bustling of Poros town. WiFi may be limited and at an additional cost. 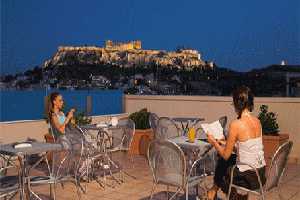 The Arion Hotel is located within walking distance of Monastiraki Metro station and the Plaka area. This is a smoke-free hotel and has a 24-hour front desk and a computer station. WiFi is free in the common areas. * Price per person based on a twin share room. If you're traveling alone, AESU will arrange for you to share a twin at NO EXTRA COST. If you prefer a single room, a single supplement of $795/$325 will apply. Single accommodations are not available on the overnight ship from Italy to Greece. Fly into London, return from Rome for 12-day program or return from Athens for 17-day program. Click on a date above to get a quote or book online. You can make your $500 deposit ONLINE to confirm your space on the land tour. Full payment isn't due until 90 days before departure, and you or friends and family can make partial payments after you've booked (See NOTE below if within 90 days). Or you can scan/email or fax a booking form. Grad Trip to a friend!